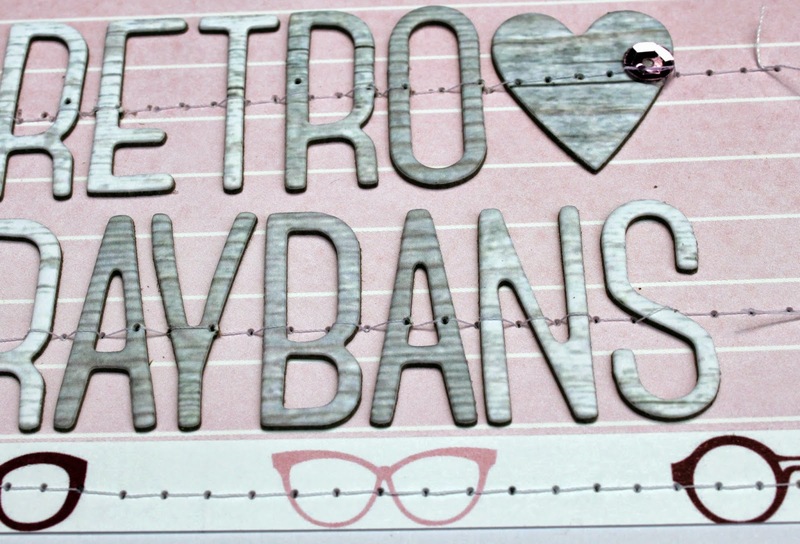 I'm back with another two layouts created with the "Lots of Love" January Scrapbook Kit and the "Be Mine" January Embellishment Kit. I have to be honest and say I don't love this page. I think I should have used a white cardstock base instead of kraft but at the time I thought the orange tones and mood of my photo would suit a darker background. Oh well, I might not love it, but I sure don't hate it either- it's more of a "Meh" feeling. 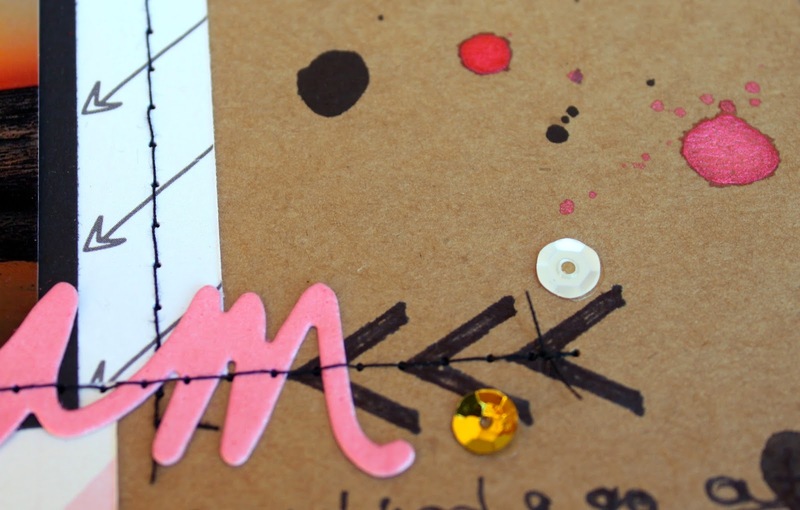 I do however, LOVE the gold polka dot vellum from the kit and I used it sparingly here so I could use it again on another page! 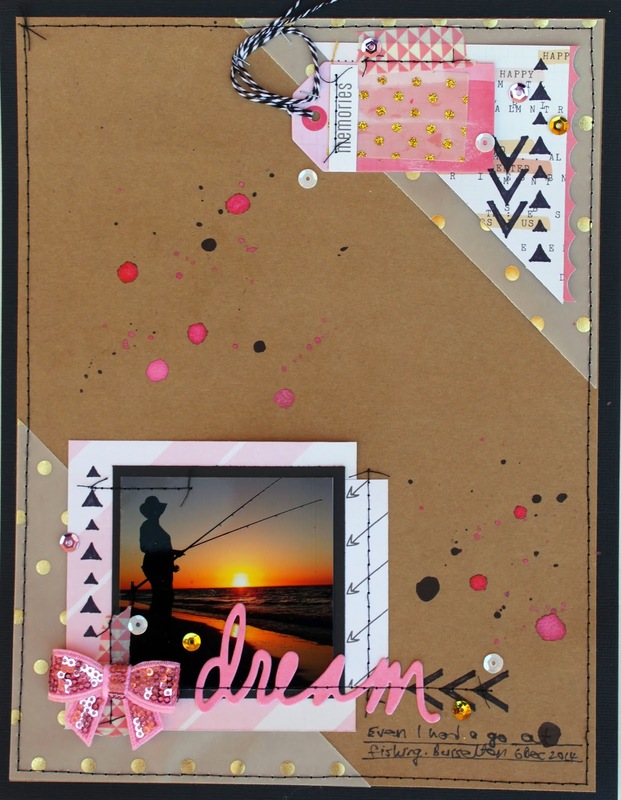 This is an 8.5"x11" layout- a size I use often- and I used oranges, pinks and golds from the kit along with splashes of black. I used a black Sharpie through a stencil to create some arrows - you thought it was a stamp didn't you? 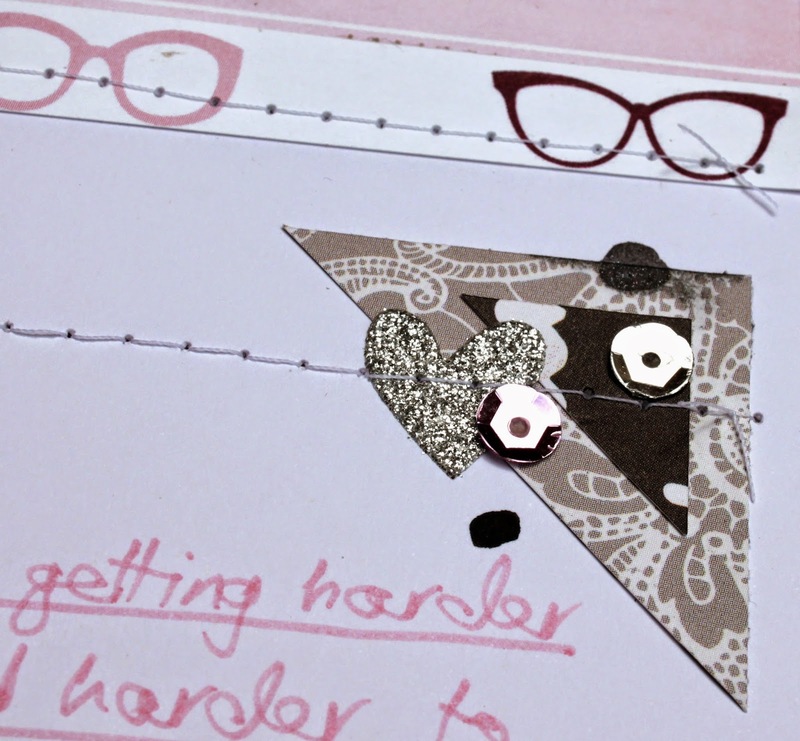 I also added black and pink ink splats using Heidi Swapp Colour Shine and probably went just a little overboard LOL! Black machine stitching and some black and white twine from my stash were added and the sequins are from my kit- loving sequins right now! 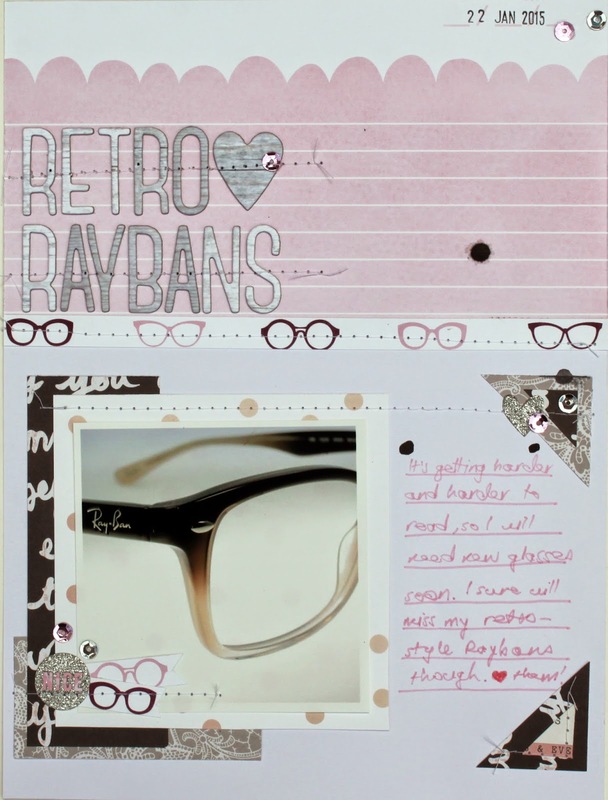 I chose a pink and grey/silver colour scheme for this page about my favourite Rayban spectacle frames, and again used the 8.5"x11" format. 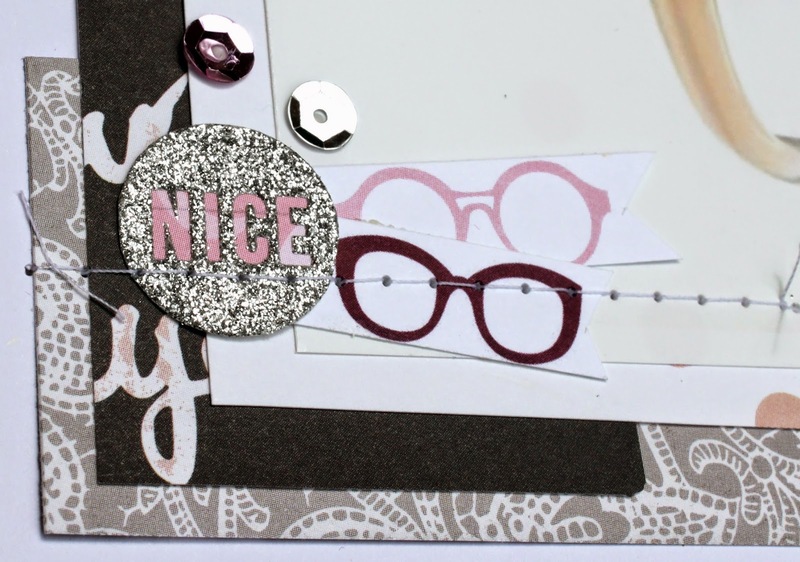 My little silver "NICE" sticker was backed with pink patterned paper to ensure the word stood out. One of the papers featured cute little glasses on the tear-strip so I made good use of that and even had a little bit left to make some banner flags for my photo. And of course the grey woodgrain Thickers were perfect for creating my title. I'm having so much fun with this kit!